Your dog’s skin and coat forms the largest organ in their body, accounting for about 12% of their body weight. Apart from its wonderful appearance, a dog’s skin has a huge role to play in their overall health – protecting their body from injury and infection, helping control their temperature and acting as their first line of defence. Their fur insulates the body and protects the skin from trauma and damage due to heat, sunlight and irritants. A radiant coat is also the most visible sign of overall health and, as we all can appreciate, a coat in great condition looks and feels magnificent. Why Is a Dog’s Coat So Important? Many people think of dogs as having one of two coat types – long-haired or short-haired. This is true to some extent but there’s also straight-haired, curly-haired, wire-haired, flat-haired, feathered, not to mention single coat and double coats. The various breeds have many different coat types, quite often reflecting the original ‘working’ purpose of the dog. Labradors for instance have a short, flat, double coat with a dense under layer that provides them with a high degree of water resistance and insulation – essential for their original role as water dogs. Many terriers have short, thick, rough coats – providing ideal protection against barbs and thorns which are found in undergrowth and thickets. Whatever your dog’s skin and coat type, it shares the same crucial functions. A dog’s coat is 95% protein1 so providing food which contains high quality animal protein, such as chicken, lamb and fish, is essential. This provides special amino acids to ensure the skin and coat are properly nourished, supporting healthy structure and function. Dogs use so much energy growing their coats that up to 35% of a dog's daily protein intake is needed just to keep their coat and skin in good condition. Healthy skin is soft and pliable with the roots of hair deeply embedded in the skin. Fatty acids omega 6 and omega 3 promote the production of vital oils and waxes that prevent dryness and maintain a visibly healthy coat. Other nutrients important to skin & coat health include the vitamins A, C, and E, zinc, copper and biotin. As well as feeding them the right diet, grooming your dog regularly will help to keep their skin and coat in the best possible condition. EUKANUBA’s specially formulated dog food, based on years of expertise since 1969, includes all of the ingredients critical to help support a healthy skin and coat from the inside. 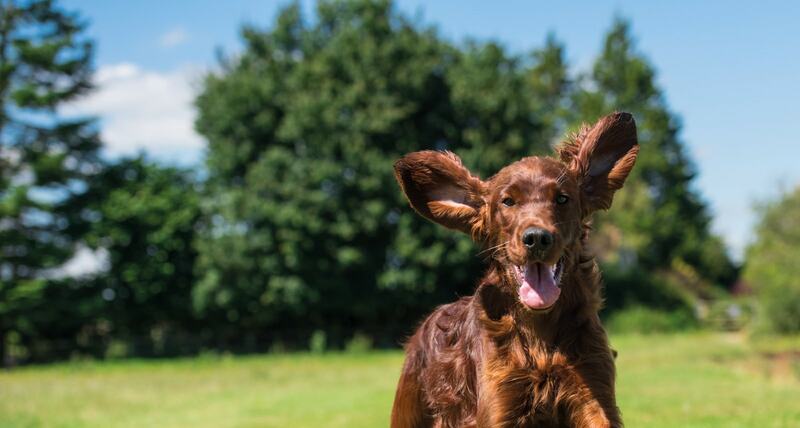 Each life stage formula is tailored to the needs of your dog, so from puppy to junior, adult to senior, yo u can be assured that your dog gets everything they need to support optimal body condition and a magnificent coat. To further improve your dog’s coat, we recommend regular grooming; using a good quality de-shedding tool once a week will also reduce loose hair. 1 Davenport GM, et al. The impact of nutrition on skin and hair coat. In: Current research in dermatology. Proceedings from Pre-Congress Symposium, 4th World Congress of Veterinary Dermatology, San Francisco, 2000; 4-9.